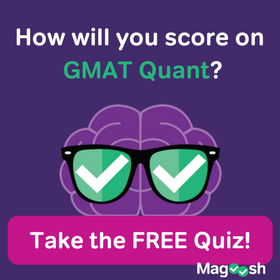 Today’s GMAT Tuesday follows up on a previous theme: How to Improve Reading Comprehension. Today, we’ll recap that video’s tips for active reading, then we’ll practice these skills by reading an article together. That way, you can test to see if you’re reading as actively as you think you are. Before we begin, read over this NY Times article. Then, switch on the video and we’ll practice taking notes while actively reading … all the while developing your skills so that you eventually won’t have to take notes at all! Questions or comments? Leave them below, and we’ll get back to you as soon as we can. I only have three months to prep for GMAT, and I’m already 1 month into it. How much time should I spend in doing this and how much can I still improve? Firstly thanks for posting this. It’s really helpful for students like me who are newbies to habit of reading. 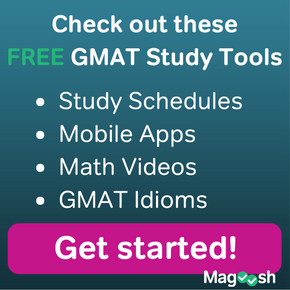 Recently i joined magoosh group aiming at GMAT. I was bit worried about verbal; for a good score we need to read those questions and the options at good pace and make sense out of them. I went on reading some articles in Economist and New York times generals, but a lot of new vocab or some technology jargons are used in those passages leading to pop up a question in my mind. Which article should i read? It would really appreciate if you could post a weekly articles in the blog or to my mail (komal436@gmail.com) which are good for reading to score 42-45+ in verbal. I would really appreciate that help. That’s great that you have dived in and have started reading! You should keep it up! Even if you encounter a lot new vocabulary, don’t give up. That’s an opportunity to learn new words and deal with jargon and terms while fighting to understand the meaning of the passage. I hope that this can help you improve your reading skills! Best of luck and happy studying! Great Info. Thanks. The way you teach is itself quite entertaining :). I am a non native and look to improve my verbal score greatly(40+). I have gone thru other blog posts such as what to read and GMAT reading list and liked all of them. Please keep posting more such post/video. 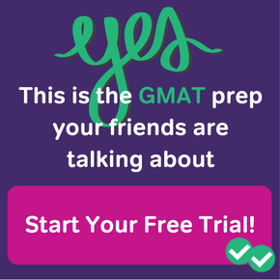 I agree that all you need to excel in GMAT verbal and then in business world during/post MBA is “Feel” of the language beside routine preparation for GMAT. And the best way to achieve this is by doing active reading from good source.